Yesterday she spiked another fever around 730 last night and due to another high fever they added in another antibiotic daptomicin. The last temperature she had was last night at 1230am and today she has stayed in the 99 area! Counts were checked overnight and as expected everything dropped needing blood and platelets sometime today. WBC came to .3 but still no ANC, so still neutrapenic! Today Emily had a rough day. She woke up swollen this morning and slept in until almost 11, so we knew here hemoglobin was low. She had a slow start to the day. Today she scratched her nose and it started a nose bleed when she was in the playroom which resulted in her throwing up a lot of blood again! So she was extremely lethargic for a while until the blood was half done! Thankfully no reaction to either platelets or blood. However right now we are dealing with a pretty high blood pressure. She is supposed to get IVIG sometime overnight but will not be able to get that until her blood pressure has come down. The nurse lowered her fluids and explained if after awhile they haven't come down they may have to add in something else to get them to come down. Tonight two of our friends from divas and dudes came out and cut all the knotted hair that was falling out of Emily's hair at the hospital. Emily was really tired during this time, but she handled it well sitting in mommys lap. We thank you guys for coming to help her out tonight and make her feel better about her hair! She was having a hard time with it so hopefully she will feel better now. Back to some fun hats for a while, but divas and dudes has also offered to fix up Emily's wig that she has so she will feel better and we thank you guys for helping us with that. You guys have been a part of Emily's journey since the beginning when we came in to get her hair fixed and we couldn't thank you guys enough. Thank you to dad for making sure that we are taken care of and running all over town the past couple of days having to get things together at home since we were not prepared with anything for inpatient while and also having to work. We appreciate you making sure we have what we need while we are here and bringing food and clothes to us here and then tonight bringing Emily a special treat! 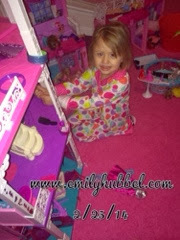 Dad sat with Emily for a while tonight working on a Barbie Lego set for Emily and Emily loved it. Thank you to My mom for helping out with Brianna today during the day and thank you for Sue and Jojo for driving from PA today to come see us for helping out with Brianna tonight overnight and bringing chili for dinner. We still don't know when she will be discharged right now. Earlier today I would have thought probably not till Sunday but we are not sure. The plan for tonight is to hopefully get her IVIG going depending on her blood pressure and check counts overnight! But those things can always change. Please continue to keep Emily in your thoughts. She is handling this stay ok, but a lot of the stay had been sleeping and not feeling well. Tonight she is starting to feel better and we love that she is feeling better. It's been over a week now she has been neutropenic. We still wait for results on the labs for the viruses they are checking on but hopefully they are negative. Lastly we also found out today the Homebound has been completed and we will get her started next week working with her. 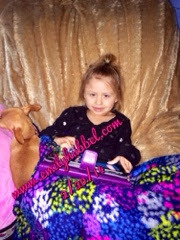 Emily will be ready when her counts are up to visit with some of her friends from school because she misses them! It's been a rough couple weeks here and we are ready for this road trip to be over!! Last night we were fever watching again. Temps were 99 to 99.9 but never over 100 during the night. Yesterday she did well at home, but we did notice later last night she was tired. She woke me up about 1am and said she had a bad headache. Temp was 99 so I went ahead and gave her a little Tylenol to help with her headache. This morning she was very lethargic and tired not wanting to get up but temp was 99.4 so we assumed it was her hemoglobin low! She still had no ANC and WBC is still .2! Her hemoglobin was 8.6 and platelets were 36 but they know with fever she will need them again sometime while we are here. They were going to give her them today, but decided before heading inpatient to wait for labs done overnight. Blood cultures were done and they are checking for a few different viruses (which they think could be a culprit of no ANC) while also checking the growth of red blood again and checking IVIG levels as well! They went ahead and gave her a bolus of fluids and some antibiotics and we are now settled into a room on the 7th floor. We just learned that her IVIG levels were low and will need a transfusion (takes 6 hours and pre medication) and her platelet antibody was negative (which is a good thing)! Right now the plan is antibiotics every 8 hours (unless something grows on the cultures), continuing on all of her current medicines and we don't know how long inpatient! He said normally 48 hours but we are begging for 24 hours if she handles everything else well and no other fevers, but we will have to see how she does. He said the team will talk. But Emily was looking forward to a few things, friends Sue and Jo coming into town tomorrow night and two friends/workers from Divas N Dudes were going to come to the house and see what we could do with Emilys hair and then paint the girls nails and toenails! Emily was excited about this. Her hair is falling out quickly, she has a bald spot on the back of her head and the rest of it is really starting to knot from the hair that is falling out and making knots with the hair still there. Most likely will just need to take it all off but will have to see how it looks tomorrow. Our hearts hurt that she is having to deal with this part of it again because she said to us, "I don't want to go to school wearing a hat!" She knows that wearing a hat the kids will know she is different and that that you are not allowed to wear hats. We won't make her go to school if she doesn't want to with no hair. 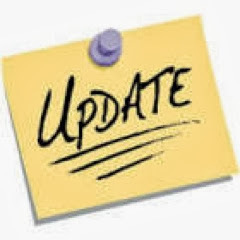 Homebound paperwork should be completed today is my hope and we will get that part of it moving. She woke up this morning feeling her head to see if her hair was still there, that completely broke our hearts. It's so hard to see her go through this again. I know dad will shave his head again if she wants him to and if she wanted me to, I would as well! Right now she is just wearing a hat so she won't have hair in her mouth. Please continue to keep Emily in your thoughts and send her love. We will continue to keep you updated and thank you so much for all of your love and support. Remember to hug and kiss your kids and tell them you love them. After a few days in the hospital we are home! After platelets she had a small reaction where her blood pressure went up and her face started to turn red but after about 10 minutes it was under control! After platelet transfusion her platelets went up half and her hemoglobin had dropped a little bit. She has clinic on Thursday to check counts and see how she is doing! She will most likely need red blood and platelets but we will see. They also drew some additional lab work so we should have those results back on Thursday except for the antibody one that takes a little longer! She is still neutrapenic so she could still get another fever and have to go back. So hopefully she is on the up and up! But she appears to be feeling better so for that we are happy! She is still on many medicines and round the click Zofran but she is starting to eat a little more which is good! Depending on how her hair does we may need to go and get it cut! We are seeing it mat a little bit in the back and trying it get the mat out from the hair loss will only make it worse. We just have to be careful with being neutrapenic! Thankfully no fevers overnight. She was 99.5 at one time but it came back down! She seems pretty sad but we are thinking she is just ready to get home to see her dog and be home with all of us...Her ANC is still 0 today but since no fevers they will let her go home sometime this afternoon. Her platelets dropped again, so she will be getting a platelet transfusion and then wait a bit after and check them again to make sure they go up. I understand they also want to see if her body has built an antibody against platelets since they keep dropping, but we are hoping that it's just from her counts being low. Her hemoglobin dropped also but they would like to wait on that and see how she does. Also Dr Gowda emailed and asks that we stop all chemo until her counts have recovered! Still see quite a bit of her on her pillow and clothes, such a bummer that this has happened again, 4th time of losing her but. Again when she starts to notice we will talk to her about it! Please continue to keep Emily in your thoughts and sending lots of love! Quick update: due to counts and last fever at 6pm last night Emily will remain in the hospital tonight. If no other fevers and blood cultures remain negative she will be discharged sometime tomorrow. WBC dropped to .1 today so ANC still too low to register which means it's possible that she can she get another neutrapenic fever. We hope not but it's a possibility! X-Ray was clear which is good! They will check her counts about 3 am and see how things look but expect that she may need platelets again. Lastly this regimen has been totally opposition of what we expected... Neutropenic, needing blood and platelets, mouth sores and we are noticing hair on her pillow and all over our clothes. She hasn't noticed yet but once she does we will walk her through it. Please continue to send your love and thoughts for Emily for her ANC to rise and no more fevers!! Thank you all for keeping up with her! 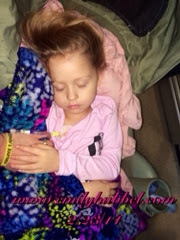 Emily was admitted for neutropenia, her ANC was still too low to even register at this point. Fever when we left the ER was 103 and With still no ANC, her hemoglobin took a drop to 7 and her platelets took a big drop to 12! So, she needs both blood products. Platelets took a while to finally start and once they were going to start she had fever a 100.9. Thankfully the fever came down and she was able to get the platelets , they ended up coming up to 27, still pretty low for Emily and especially right now with them quickly dropping. We have to wait 4 hours to get the blood, so about 2am, so it will be a long night. Tomorrow we were scheduled to meet with the GI specialist, they are going to see if they can get them to come here, it will be a consult if they can come. They would also like a chest X-ray but would like to talk to the doctor in the morning about that. Right now it could be a 24 to 48 hour inpatient stay, but we will have to see how her counts do and if she has any other fevers. All of her chemo has been stopped for now. Thank you for all of the love and thoughts. 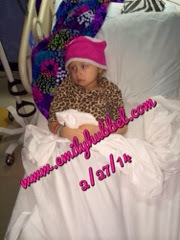 Emily is hanging in there and took the having to stay inpatient better than we thought. Her sister Brianna on the other hand, has a really hard time when Emily is not home. Well after fever watching all day yesterday and up every hour last night fever watching, her fever was 100.9 at home! So we brought her in! Her fever when we got here was 102.5 so they gave her Tylenol , she has been accessed with blood cultures done and bolus of fluids has started along with antibiotics. From what they are saying it appears she will be admitted (which we were supposed to be here all day tomorrow anyway but still)...waiting on counts. Today we had clinic to check counts and see how things are. Yesterday she really didn't eat much and we started the megace last night. As of last night she seemed to be real tired and laying around! Thankfully she hasn't had any nosebleeds and no throwing up blood but we have been on top of the medicines and nosesprays to help! It still doesn't mean they are ruling out blood in her intestines and GI! We did have to get a good humidifier for her when she sleeps and that is helping for when she wakes up! Her blood pressure was up and heart rate was up a little bit, but when we got there she had a temp of 99.5 probably 30 minutes to hour later it was 100.2 (remember 100.4 automatic inpatient). Counts came back and the word was neutrapenic. The first word that came out of my mouth sh$&, ugh! Her ANC was too low to even register! Platelets took a dip again and hemoglobin was 7.8! So dr gowda wanted to give her platelets since they took such a dip. She didn't have a bad reaction today but of course Benadryl, Pepcid, Tylenol and steroid! Tylenol brought temp down to normal! After platelets he wanted blood cultures done since the temp she had and give her a dose of IV meropenem. But if any temp we had back. So with that said, no visitors that have been sick or been around people that are sick and lots of hand washing! Right now we will probably keep it to no visitors so we can stay away from hospital! And no father/daughter dance! But since she hasn't been at school it's not really a topic on her mind! Because hemoglobin dropped he wants to see how she does overnight if the tiredness is worse to bring her in the morning so she can get a blood transfusion if not come Monday and she will get it then. Endoscopy has been put on hold because her counts are too low and puts her at risk for severe infections! But clinic Monday! It's been a long week and neutropenic was the last thing we thought we would have to deal with! But we are it's here! We thought these medications were going to give her a break but her body is not like everyone else that has been on this trial and it's taking a toll on her. So etoposide has been stopped and cyclophosphamide she will only take half until her counts come back up! Please continue to send your thoughts that no fevers and no more blood issues! We have to wait on checking GI until counts back up! Thank you for continuing to keep up and checking in! Last night the chemo was stopped for the night while she was inpatient! Also the packing (gauze) came out of her nose along with a huge clot last night! The concern was that it would cause some more bleeding but thankfully it didn't! By this point she had already had her platelets and was half way done with the blood transfusion late last night. So we are keeping her nose sprayed with hopes that it won't cause any more bleeding! A PT TTP test was done yesterday to check Emily's clotting factor. It was just a little high so they wanted her to take Vitamin K with hoping to bring that down. GI came by today and we spoke about what is going on with Emily. The concern is that she may have some intestinal bleeding since she has had some really dark stools! They would like to do an endoscopy where they take a camera down her throat and see if she has any tears, ulcers or infections that is causing the bleeding. They asked if we wanted Emily to stay inpatient tonight and have the procedure done tomorrow, but we also learned that Emily is real close to neutrapenic! Her ANC is 800 and neutropenic is 500! So doing a procedure like this would bring some concerns of other infections and landing herself longer inpatient. So we opted for having the procedure done next week. They also wanted to have no bleeding for 48 hours so if any bleeding overnight the procedure would be off. Check her counts in the morning and her PT TPP levels and if that is still elevated it would be held off. So a few factors in deciding but felt next week would be better and also hopefully give emily some time to start eating more and her ANC to start coming back up. But with a low ANC we will be sticking around the house to keep her free of getting sick! So Homebound #1! We have been told if any fevers of 100.4 or above that we need to bring Emily back. We didn't expect to have to worry about this with these new medications but here we are. And now we just have to deal with it! So this means no school for the remainder of the week hopefully she can attend the father/daughter dance Friday but we will have to see how her ANC looks. We also don't know to expect her ANC to fall anymore with these chemos so we don't know what to expect moving forward! They did release Emily today from inpatient to home (Homebound #2) and we got to leave at 130 pm but with several medications that we had to stop and pick up at cvs. Her hemoglobin was still low today, 8.2, so it's possible she could need another blood transfusion come later this week. Platelets are ok but they do drop quite a bit for Emily! Her 2 chemos can be restarted again tonight along with Zofran every 6 hours, karofate, another prescription and her nose sprays along with using a humidifier! Obviously if we experience throwing up blood again we will have to go back. So right now we hang at home and Thursday Emily will have clinic with dr gowda to see where she is with counts and he can look over her and see how she is doing. 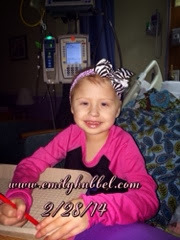 Thursday afternoon we will meet with ENT to see if there is anything else that they can do to help Emily! Monday she has the appointment at Stoney point for the endoscopy which means no eating so she can go under anesthesia and have the procedure done. Hopefully we will know the results quickly from this and how to move forward but hopefully it doesn't change any of our treatment options if there are any problems! We are working with the county and the hospital to get Homebound set up for Emily so a teacher can come and work with her here at the house. Homebound #3! Her teacher did send some work home to start working on until we have Homebound set up, not sure how long that will take but hopefully not long! 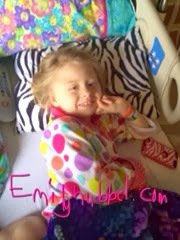 Please continue to keep Emily in your thoughts and hope for no other inpatient stays! We are hopeful that she doesn't have any other throwing up and can do well until Thursday morning as well as no fevers!! Thank you so much to all who continue to follow along with Emily's journey and text us, email us and check in with us. Your love means so much to us! Today has been a long day and it's not over yet! ENT did come by and sucked up the loose blood and then packed her nose with a gauze and she is very unhappy about this. They want it to stay for a couple of days! We were told that they would like Emily to stay overnight so they can get to the bottom of what is causing the bleeding that she continues to throw up! GI will be coming up tomorrow sometime to see what's going on since they think it's a possibility that maybe it is intestinal from the avastin! With her hemoglobin dropping that much again since last Thursday we don't want her to continue to go through throwing up that much blood each time! 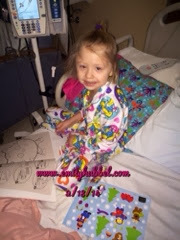 She did get platelets earlier and they wanted them to be given much slower with steroids, Benadryl and Tylenol! Thankfully today she didn't have any reactions! Her heart rate has started to come down a little with continuous fluids, but should drop much more when she gets her blood transfusion! Emily was moved from PCU and is now in a regular room and she has been pre medicated for her blood transfusion along with amicar and Zofran! She should be starting her blood transfusion soon! Please continue to keep Emily in your thoughts! She has lost 3 lbs since early last week and thankfully tonight she did eat a little bit! We will update tomorrow as we know more! So we have another long day here. At the hospital!! Been here since 930 and we will be here through the evening unfortunately! Her hemoglobin tanked again most likely from throwing up blood again. All weekend she has been very low key and hardly eating anything! Platelets are also low as well and all of her vitals are extremely low with high heart rate! Right now she is getting a bolus of fluids for 2 hours! We are waiting for a bed to be admitted into the PCH (step down unit) so she can be watched closer and to get blood and platelets! The clinic is nervous about giving her platelets now also because of last week! Zofran was given to settle her stomach. Emily is very lethargic and pale and sleeping a lot! So another long day here! At this point we don't know if she will be admitted or not because it will depend on her vitals and how she is doing. Please continue to send your thoughts and love for Emily! Update on Emily...today is 7 days that she has been on with her 2 daily chemos. The first night she tossed and turned and her tummy hurt but she hasn't complained of anymore tummy pain anymore since the first night. The biggest issue we are seeing is the lack of eating and she isn't eating much so we are trying to find what she wants and likes now and then the past couple of mornings she has had bloody gums in the morning. Thursday of last week she had clinic and platelets were at 26 and they decided not to transfuse and just see how she does. If she continues with the bloody gums we will take her in before her appointment on Thursday this week. 15 more days of these 2 chemos and then she will start the other 2! Both of Emilys sister's are sick, one with the fever and just tired and the other with stomach virus, so hopefully Emily will remain sickfree from either and we are hoping that they both feel better soon! Emily had clinic changed to today since the snow storm that is coming. We came in and met with the dr to sign paperwork for the thalidomide that she will be on and check counts. Platelets took a nose dive from 26 to 15 and her WBC is dropping also! Pre-medicated her with steroids, Tylenol and Claritin ... Platelets were about 2/3 done and Emily broke out with a hive on her face and within a few minutes she started to feel funny, lips and eyes swelling and red all over!! Her anxiety started to go crazy which caused her nose to start bleeding and we couldn't stop it and she was throwing up blood ...Within minutes the room was filled with doctors and epi pin was given and Emily was being transported to ER! We are now in ER under observation!! We hope once the meds wear off there is no other reaction bc they want her to wait for 4-6 hours! Please send your thoughts and love that they don't keep her and we can go home! I will be honest and share with you, we were very scared today... The reaction Emily had today is not one she has ever had before and when her lips and tongue were swelling we were scared! Emily in true fashion was a true fighter today and she handled everything very well. Our nurse, Mrs Kathy, and the doctors and many other nurses were very fast in action and took care of Emily without showing fear and were great with Emily! Emily was scared but they were talking to her in calm voices and trying to keep her calm! She made me cry when she had to get the epi pen and it's horrible to have to hold your own child down to put her in more pain but knowing in the end it will help her. But still! We had to wait 6 hours from the time of giving the epi pin, she still has petechia and is swollen but is ok. The ER wanted her to stay overnight but after talking to Dr Gowda he knows us well enough that we will not do anything to danger her and he talked with the ER doctors! Her hemoglobin was low and platelets were ok but still low but she has to come back Monday! We were instructed to give her Benadryl as needed and head to the ER if she has any allergic reactions immediately! We are so happy that Emily is ok because today truly scared us! Thank you all for the messages and texts and all those that checked in! Thank you so much for caring! The roads were a mess on the way home but we are home! Long night with Emily. About 3 am she starting with a few hives on her stomach and on her leg. I gave her some children's allergy... After 30 minutes it was spreading and I was getting nervous especially since the roads are a mess and dad was working! After another half hour her stomach ones were starting to go away and her leg had not! I kept checking her every half hour making sure she was ok and they were not spreading by 530am the hives were almost gone. My biggest worry was on her face getting any hives and her lips and tongue swelling again, thankfully that did not happen. As of right now she doesn't have any hives, just looks like she has bloody gums again this morning. I will be keeping an eye on her today and hoping no more hives! The roads here are a mess and they are calling for more snow later today. Be safe and thank you guys for checking in on Emily. We are back in the hospital. About 1030am Emily started having a nosebleed and then throwing up. The throwing up didn't stop and she was very pale and lethargic. The 2nd time she went to get sick throwing up blood she could hardly make it to the bathroom her body was so tired. I quickly dressed her, stopped working at home and got her to the hospital! Her hemoglobin dropped last night from 7.8 to 5.6 today! Extreme drop which is causing the extreme exhaustion, low blood pressure, low temp and high heart rate and high WBC and ANC! So now we wait for blood and wait for the blood to be given which will take a good 3-4 hours. As for the nosebleeds and throwing up, they want to have someone from ENT look at her. Hopefully today but if not we will be scheduled! Thank you for continuing to send your love and thoughts for Emily! It's been a long couple of days! We just got home about half hour ago after another long and stressful day at the hospital..Blood transfusion finished after 4 hours and no reactions! We are home with a few medicines that she needs to take along with her chemos as well as an epi pin in case we have any allergic reactions again! We are hopeful for a calm evening and rest of the weekend. Dad will be home with the girls tomorrow and will be keeping an eye on Emily. She needs to be back in clinic on Monday to check to see how she is doing! Thank you again for keeping up with Emily and checking in on her and all the messages of love and thoughts! We thank you! Emily kind of had a rough day today... She was pretty exhausted most of the day, did throw up some blood again today and hardly ate anything. Mid day she even needed some zofran which we really haven't had to do yet only at night before chemo. At this point we are not sure if these are the side effects of the chemo or what. She really has had a rough week, hopefully tomorrow she has a better day. Today, Emily slept until noon today, so she must have needed the rest, she still seems to be quite exhausted still and not eating much yet. I am hoping she will turn around today and gain some more energy and feel better and eat more. Wednesday she was already down a pound, so we are hopeful that this turns around since she hasn't been eating much. We can't afford her to lose a lot of weight since we have been working so hard to get her weight up over the last year. Tomorrow she has clinic to check counts in the morning and see how she is doing. Tomorrow will also mark that she has 1 week left on the etoposide and cyclophosphamide. After that she will start 21 days of thalidomide and Celebrex. Those are two new drugs that Emily has not ever had before so we have no idea how these will react with her. Please continue to keep Emily in your thoughts as she continues through this.